Middle-Earth: Shadow of Mordor - game of the new generation, the events that occur in the famous Middle-earth. You will enjoy an exciting story of revenge and redemption. 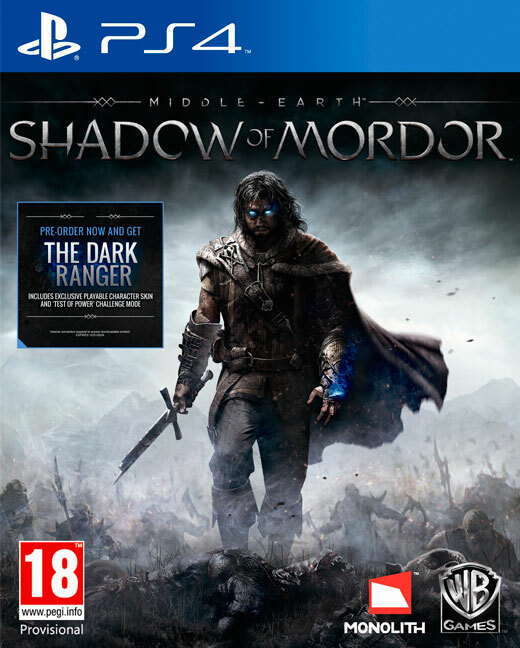 Fulfill the role of Ranger Talion, whose family died at the hands of the servants of Sauron. Talion and he did not escape the cruel fate, but the Spirit of Vengeance brought him back to life and endowed with supernatural powers. Now, who returned from the dead ranger have to go into the depths of Mordor, to fulfill the oath and destroy those who ruined his life. Over time, he will reveal the truth that for the Spirit brought him into the world, he learns about the rings of power and fight with your enemy. Each enemy you meet, will be unique - with its own characteristics, strengths and weaknesses. Due to the mechanics of Nemesis System relationships enemies and their characteristics are determined depending on your actions and decisions. Dynamic world of "Middle-earth: Shadows of Mordor" remember you react to your decisions and adapt to them. Here everyone will live their own - unique - adventure. Learn how to use ghost forces and avenge their shattered lives, fighting face to face in melee or hiding in the dark and hitting enemies from afar. Take a look at the world of ghostly vision and find vulnerabilities of each of the unique enemies encountered on the way Talion. Any enemy has its weaknesses, habits and characteristics that you will be able to discern and use to their advantage. Bleed-enemies to each other, causing them to perform certain actions, and thereby make Mordor obedient to his will. Every opponent is different and can become your sworn enemy, depending on what you take. Talion history unfolds in the gap between the events of the trilogy "The Hobbit" and "Lord of the Rings." You have to know where did the ring of power, and become the most feared warrior in Mordor. In formulating the strategy and profit new sworn enemies, you will be rewarded in accordance with the system of runes, better weapons, upgrade their skills and abilities.